Random Acts of Sustainability – 3 things you can do today! Earlier this week I attended a fantastic event, organised by the Rainforest Alliance, as part of their Follow The Frog launch! The Rainforest Alliance has always been at the centre of sustainable farming, environmental care and looking out for the health and well-being of those people who are producing the crops to make our every day commodities such as tea, coffee and chocolate. 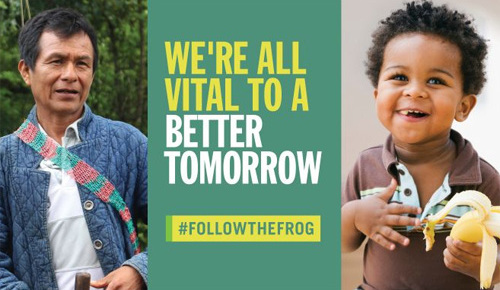 Follow the Frog is about raising awareness of these issues and encouraging more brands to become certified, as well as asking consumers to make ethical decisions and purchase from Rainforest Alliance certified brands. But it’s not just about what we buy. It’s the way we treat the environment and care for it, ensuring the survival of our planet for generations to come. From recycling, to reducing waste, to being more mindful of your product usage, your carbon footprint and the decisions you make on a daily basis. So, I’m going to share 3 random acts of sustainability you can do today, easily, to do your part for our planet. 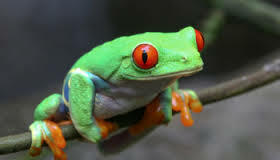 1) Save the Frogs! I don’t think I could mention #followthefrog without a small mention of the lovely little guys. Do you know that the chemical surfactants in many of our washing products are toxic to fish, frogs and water dwellers? This affects the delicate ecosystem and that’s just not good. Be kind to our water-dwelling friends by switching to eco-friendly products, such as Ecozone for washing your dishes and your clothes. 2) Take a reusable cloth bag everywhere with you, instead of using plastic bags. This saves more and more plastic being added to landfill. Eventually we’ll run out of room if we don’t stop throwing away! Perhaps you can customise your own jute bag, like I did (see picture above)! 3) Last but not least, buy a reusable coffee cup and take it with you when grabbing that morning takeaway coffee. The amount of cardboard thrown away each day from cups is astounding and so easily reduced! You can buy some really pretty ones too. The Guardian (in partnership with the Rainforest Alliance for #followthefrog) has a great article on some of the best reusable cups around. My favourite is from Boobalou and is shown above, and you can often get a discount in coffee shops for using your own mug. Double benefit! There are so many more ways to do your bit, and I’ll be discussing those over the next 10 months for the #followthefrog campaign. I’ll also be telling you more about the work of the Rainforest Alliance and sharing some of their wonderful stories. If you’d like to win a hamper of Rainforest Alliance certified goodies, head on over to their Twitter Page and share a picture of your random act of sustainability with them! Thanks for reading. Have a wonderful and sustainable weekend! Previous Post Random Cake… 1066 Cake Stand! Next Post Random Goodness… Follow The Frog!! !